Question: What are the best plants to grow for attracting ruby throated hummingbirds? I put up a bird feeder but was told that having the right plants is really important. Answer: Yes, growing the right plants is critical for attracting these little jewels to your yard. These flowers provide not only the nectar the birds need but also habitat for all the little insects they like to eat. Best of all, flower nectar doesn’t require cleaning and refilling like bird feeders do! 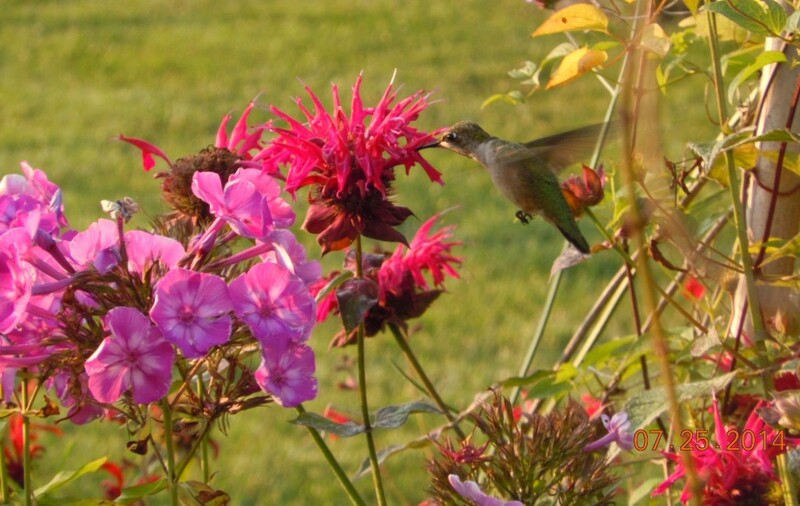 On Wednesday, September 2, 2015, you can join me and my colleague Sandra Vultaggio for a presentation and tours about gardening for the ruby throated hummingbird. We’ll start at 3:30 p.m. with a PowerPoint presentation about this magical little bird, including how to attract them to your backyard and keep them coming back year after year. Then take a tour of two local backyard gardens to witness these natural jewels within garden habitats we designed just for them. The cost is $30. Click here to register for the hummingbird workshop and tour. 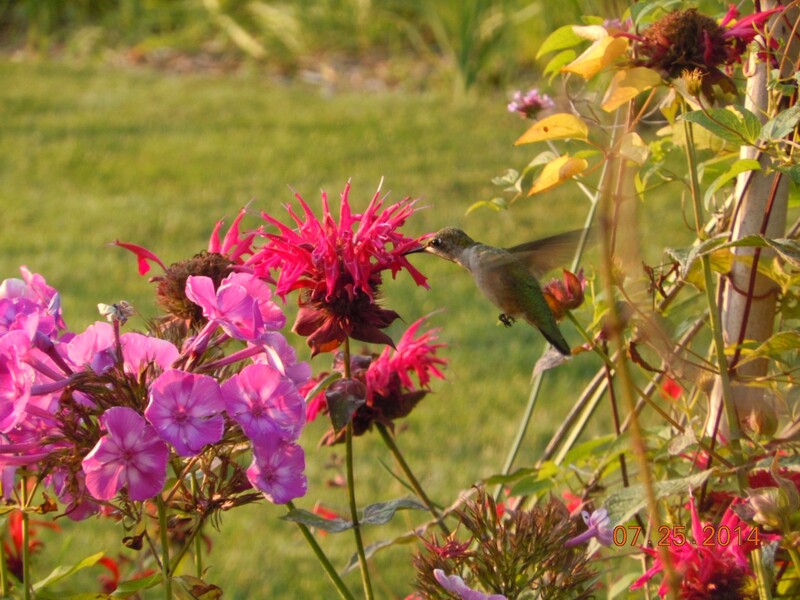 This entry was posted in Wildlife habitat and tagged gardening for birds, hummingbird gardens, plants for hummingbirds, ruby throated hummingbird on August 5, 2015 by Robin Simmen.